Once, it was just a humble Facebook application that allowed you to call your online buddies. Now, however, Bobsled by T-Mobile has been taken to the next level and has a few more tricks up its sleeve. Effective immediately, the VoIP service by T-Mobile allows you to make free voice calls to mobile and landlines across the U.S., Canada, and Puerto Rico. All you really need is a computer with a web browser and an internet connection. 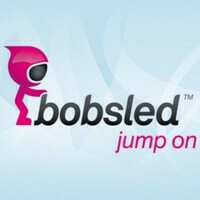 Besides, Bobsled by T-Mobile is now available on Android and iOS devices. Dedicated applications can be found on both the Android Market and the App Store, and once you have them set up you can chit chat all you want with your friends over at Facebook. However, bear in mind that the aforementioned free calls are a perk limited to the web browser version of the service. Below is a video of Bobsled by T-Mobile in action so feel free to check it out. Google voice had been around.... did same thing.